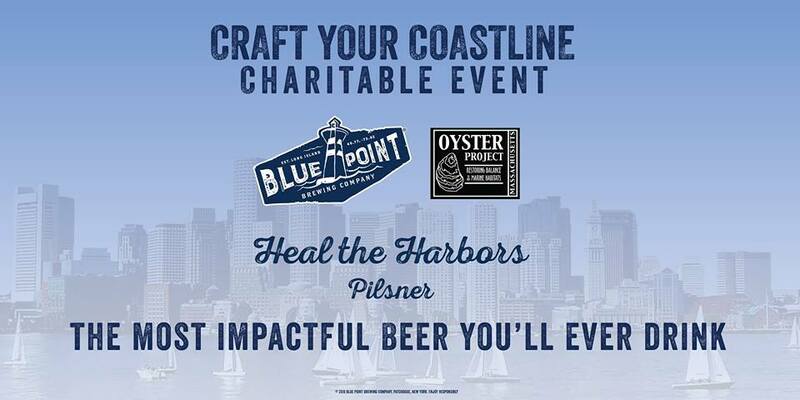 Join us as we enjoy Heal the Harbors Pilsner from Blue Point Brewing Company. We love oysters and beer. 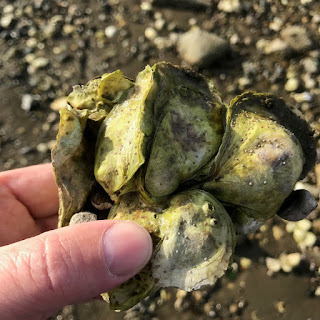 Join us at The Barking Crab on Thursday, May 3rd for fresh oysters, live music, and the chance to help restore the native oyster population and heal our harbors. For every pint you toss back of Blue Point's exclusively brewed Heal the Harbors pilsner, 23 oyster shells are recycled into Massachusetts waters. Sounds like a win-win to us. You can redeem each token for one pint of our delicious beer or 5 fresh local oysters, your choice. 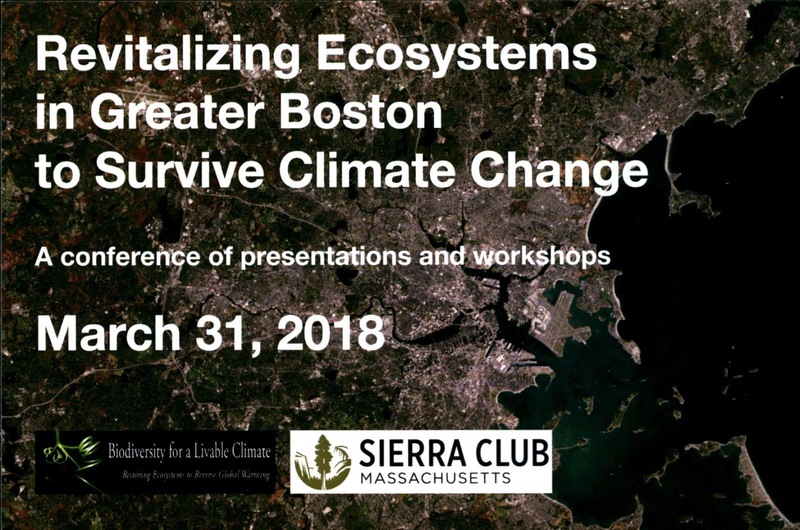 The Massachusetts Branch of the Sierra Club will be hosting an event on Revitalizing Ecosystems in Greater Boston to Survive Climate Change on Saturday March 31. And MOP will be participating in the afternoon panels talking about our ten years of experience and knowledge about oysters in Boston Harbor. Oysters have been proven to reduce wave action and help stabilize coastlines. Many states including Texas, Florida, New York and New Jersey are moving oyster based initiatives forward for this important purpose. Here is a bit about the event. Local ecosystems can help us to weather the coming climate shocks. Learn about current efforts and new possibilities to protect and strengthen our local ecosystems. Afternoon workshops on practical ways you can help revitalize ecosystems in our yards, streets, neighborhoods, parks, wetlands and waters. Self-organization is a natural process—that, as a system grows it also becomes more complex. The talk will focus on how this process works in ecosystems via co-evolution to generate the incredible biodiversity we see in nature. Many examples of regional co-evolved relationships will be used to illustrate how co-evolution works. The talk then shows how this process is a wonderful model for creating sustainable human systems. 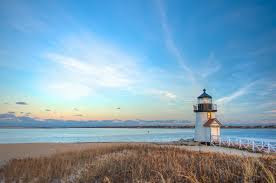 There are two exciting opportunities to spend the season on beautiful Nantucket Island. Here is the description of one. 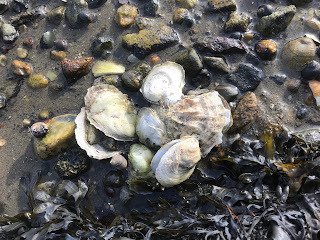 The Town of Nantucket Natural Resources Department is seeking a highly motivated summer technician to join our team in the shellfish hatchery. Responsibilities include performing daily detailed tasks involving the culture of marine algae and maintaining shellfish broodstock systems. The technician will be trained on all aspects of algae culture techniques and broodstock care of various species of shellfish that are essential to our production program. The ideal candidate will be a highly motivated and efficient individual with either an interest or previous experience in shellfish hatchery operations. Consistency, attention to detail, the ability to multitask and to follow sterile procedures are essential. Work is primarily conducted inside in a wet environment and involves standing for long periods of time on epoxy floors. This is a full time (up to 40 hours per week) position including alternating weekend shifts. The ability to lift or carry 30 lbs. or more may be required. Exceptional oral communication skills are essential. Hourly rate $16.50-$19.50 based up experience. Application Deadline April 13, 2018 at 4:00pm. Send cover letter, resume and completed Town of Nantucket employment application to Human Resources, 16 Broad St., Nantucket, MA 02554 or email the application to HR@nantucket-ma.gov. Applications and complete job description available online at www.nantucket-ma.gov. AA/EOE. You can find out more details on both jobs and how to apply by going here.